The Southern United States Trade Association (SUSTA) is a non-profit agricultural export trade development association comprised of the Departments of Agriculture of the 15 southern states and the Commonwealth of Puerto Rico. Since 1973, SUSTA programs and services have assisted exporters of high-value food and agricultural products. 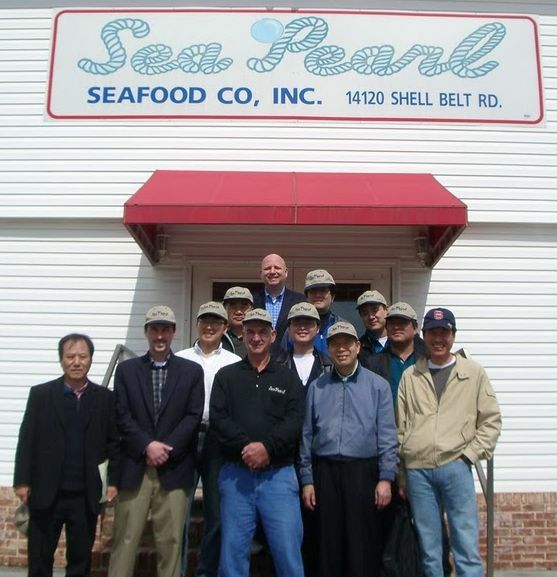 Pictured: Mr. Seh Won Kim (USDA/FAS), Michael Brooks (AITC/SUSTA), Pablo Diaz (AITC/SUSTA), Greg Ladnier (Sea Pearl), plus representatives from eight seafood companies in Korea. SUSTA is funded by the U.S. Department of Agriculture’s Foreign Agricultural Service(FAS), its member states and private companies. FAS administers and executes many foreign market development activities. In addition to funding SUSTA events, FAS funds many of its own events. FAS events are listed at http://www.fas.usda.gov/topics/trade-missions. Visit the SUSTA Events page for a listing of upcoming SUSTA events. The Market Access Program (MAP) Branded was designed for small businesses that desire financial support to launch a new branded export effort. For accepted participants SUSTA reimburses up to 50% of certain international marketing and promotion expenses, including eligible tradeshows, in-store displays, and required label changes. View full list of eligible expenses or eligible product types.